Department of Information--Who You Gonna Trust? Cardiologist to patient: "How about killing yourself, old chap?" I am 91 years old, had my first heart attack in January 2009. In December 2009 I paid a routine visit to my cardiologist. He checked, found no real change in condition. "Come back in four months" was the verdict. Then he added something that on reflection really shook me up. He suggested that I should, with my loved ones, consider the possibility of termination of my life. This is a truly shocking anecdote and more shocking the more one thinks about it. If I am interpreting the man's story correctly, his cardiologist suggested a) active suicide to his patient and did so b) out of a clear blue sky, with no prompting whatsoever from the patient. This is incredibly unprofessional behavior and should be grounds for professional censure if it were reported, though I doubt that any such thing would happen. I wish very much that Maria had told us at least where the subscriber was writing from. Was it in the United States? If so, which state? I wish that this incident could be investigated in more detail, though it may be that the letter writer would not want to talk about it any further. Anyone who thinks that "end of life counseling" initiated by doctors is nothing to worry about should think about this story very soberly. Hunter made the argument in our colloquy that he believes the Establishment and Free Exercise Clauses in the First Amendment are [jurisdictional] in nature, and that they do not establish a substantive theory of rights. If it weren’t for the Incorporation Doctrine, I might be inclined to agree with that analysis. But at the end of the day, via the construction of the Establishment and Free Exercise Clauses, as written, and via the Privileges and Immunities Clause, it should be found that the states cannot make a law respecting the establishment of religion, or prohibiting the free exercise thereof. The states may be found to have certain jurisdictional prerogatives when it comes to religion, and for the sake of this discussion, we can assume that they do. But per the Fourteenth Amendment’s incorporation, they cannot offer less than the First Amendment’s guarantees. This book is an attempt to develop a set of instructions, an analysis of what has gone wrong in recent years with the various arts - especially fiction, since that is the art on which I'm best informed - and what has gone wrong with criticism. The language of critics, and of artists of the kind who pay attention to critics, has become exceedingly odd: not talk about feelings or intellectual affirmations - not talk about moving and surprising twists of plot or wonderful characters and ideas -but sentences full of large words like hermeneutic, heuristic, structuralism, formalism, or opaque language, and full of fine distinctions - for instance those between modernist and post-modernist - that would make even an intelligent cow suspicious. Though more difficult than ever before to read, criticism has become trivial. The trivial has its place, its entertainment value. I can think of no good reason that some people should not specialize in the behavior of the left-side hairs on an elephant's trunk. Even at its best, its most deadly serious, criticism, like art, is partly a game, as all good critics know. My objection is not to the game but the fact that contemporary critics have for the most part lost track of the point of their game, just as artists, by and large, have lost track of theirs. Fiddling with the hairs on an elephant's nose is indecent when the elephant happens to be standing on the baby. At least in America art is not thought capable, these days, of tromping on babies. Yet it does so all the time, and what is worse, it does so with a bland smile. I've watched writers, composers, and painters knocking off their "works" with their left hands. Nice people, most of them. Artists are generally pleasant people, childlike both in love and hate, intending no harm when they turn out bad paintings, compositions, or books. Indeed, their ambition guarantees that they will do the best they know how to do or think they ought to do. The error is less in their objects than in their objectives. "Art is play, or partly play," they'll tell you with an engaging smile, serving up their non-nutritious fare with the murderous indifference of a fat girl serving up hamburgers. What they say is true enough, as far as it goes, and nothing is more tiresome than the man who keeps hollering, "Hey, let's be serious!" but that is what we must holler. In a world where nearly everything that passes for art is tinny and commercial and often, in addition, hollow and academic, I argue - by reason and by banging the table - for an old-fashioned view of what art is and does and what the fundamental business of critics ought therefore to be. Not that I want joy taken out of the arts; but even frothy entertainment is not harmed by a touch of moral responsibility, at least an evasion of too fashionable simplifications. My basic message throughout this book is as old as the hills, drawn from Homer, Plato, Aristotle, Dante, and the rest, and standard in Western civilization down through the eighteenth century; one would think all critics and artists should he thoroughly familiar with it, and perhaps many are. But my experience is that in university lecture halls, or in kitchens at midnight, after parties, the traditional view of art strikes most people as strange news. The traditional view is that true art is moral: it seeks to improve life, not debase it. It seeks to hold off, at least for a while, the twilight of the gods and us. I do not deny that art, like criticism, may legitimately celebrate the trifling. It may joke, or mock, or while away the time. But trivial art has no meaning or value except in the shadow of more serious art, the kind of art that beats back the monsters and, if you will, makes the world safe for triviality. That art which tends toward destruction, the art of nihilists, cynics, and merdistes, is not properly art at all. Art is essentially serious and beneficial, a game played against chaos and death, against entropy. It is a tragic game, for those who have the wit to take it seriously, because our side must lose; a comic game - or so a troll might say - because only a clown with sawdust brains would take our side and eagerly join in. Like legitimate art, legitimate criticism is a tragicomic holding action against entropy. Life is all conjunctions, one damn thing after another, cows and wars and chewing gum and mountains; art - the best, most important art - is all subordination: guilt because of sin because of pain. (All the arts treat subordination; literature is merely the most explicit about what leads to what.) Art builds temporary walls against life's leveling force, the ruin of what is splendidly unnatural in us, consciousness, the state in which not all atoms are equal. In corpses, entropy has won; the brain and the toenails have equal say. Art asserts and reasserts those values which hold off dissolution, struggling to keep the mind intact and preserve the city, the mind's safe preserve. Art rediscovers, generation by generation, what is necessary to humanness. Unlike Bill, I won't make you guess who wrote it while restraining yourselves from using Google. It is, we learn, John Gardner, On Moral Fiction. I'd not heard of Gardner's book before Bill quoted it and am indebted to him for the introduction. But how could I do it even...rough justice? I mean, when the good guys start throwing large pieces of cabinetry at the bad guys (0:53 & 1:03) - it's hard, even for me, to come up with any musical accompaniment that wouldn't just distract due attention from the epic pay-back in progress. There is a new post on my personal blog here on the subject of "expense" and nutrition and hydration. My pro-life readers will find it interesting, I hope. You others (you know who you are) please understand that this isn't being put up for purposes of having people who do not even claim to take any remotely pro-life position show up and start telling us all why Terri Schiavo should have died. I am draconian at my personal blog, even more so than here, and that is why I am closing comments here and directing them there. In the late 60s, I believe it was, a pop song call "The Real Nitty-Gritty" achieved one-hit-wonder status. Several singers have done versions of it since, and I've always liked how it can apply to a variety of situations beyond the merely sexual. That song came to mind again as my agreggator offered up a blog post yesterday from the New York Times: "Should This Be the Last Generation?" Some time back valued W4 commentator Bobcat asked me what I thought of Alvin Plantinga's 1984 paper "Advice to Christian Philosophers." Since I hadn't read it, I couldn't then say much about it. Now, I have read it, so here are some thoughts. I'll begin by accentuating the positive. It is impossible for anyone who watches the philosophical scene and who has an independent turn of mind not to like Plantinga's spunky injunctions to (Christian) philosophers to get some spine and stop trying to fit themselves and their philosophical ideas into the Procrustean bed of whatever happens to be the fashion du jour when they go to graduate school. To that I say "Amen" many times over. On these grounds [of the verifiability criterion] not only theism and theology, but most of traditional metaphysics and philosophy and much else besides was declared nonsense, without any literal sense at all. Some positivists conceded that metaphysics and theology, though strictly meaningless, might still have a certain limited value. Carnap, for example, thought they might be a kind of music. It isn't known whether he expected theology and metaphysics to supplant Bach and Mozart, or even Wagner; I myself, however, think they could nicely supersede rock. Hegel could take the place of The Talking Heads; Immanuel Kant could replace The Beach Boys; and instead of The Grateful Dead we could have, say, Arthur Schopenhauer. Some reflections over at my own blog, which will be of interest to more philosophically inclined readers. Possibly. Capital market fragility: an object lesson. Folks have regularly challenged my contention that the integration of capital markets, which was promoted in part as a political and economic force for stability, actually engenders perilous fragility. Here we have a striking example: and it’s our old friend the credit-default swap. These are the now infamous derivative securities designed to provide liquidity to bond markets by allowing investors to buy and sell “protection,” or what amounts to insurance, on various classes of debt. A CDS contract pays out in the event of the underlying debt’s default; and its own value fluctuates according to the expectation of that default, which is important because the sellers of these derivatives — those writing the insurance contracts, usually investment banks or funds of some kind — must post collateral against declines in the underlying security. So in case before us, we have CDS on notes and bonds issued by BP and other oil firms entangled in the ghastly Gulf disaster. Just two months ago, these bonds were staid and stable instruments that few paid any attention to. The sellers of protection (i.e., the third-parties writing default swaps on those bonds) were taking in steady fees to insure the debt, and other parties were buying the CDS to hedge their exposure, and everyone was feeling hunky-dory. Then there was the calamity on the Deepwater Horizon, the destruction of the underwater well, and the subsequent venting of massive quantities of crude oil into the Gulf of Mexico, an environmental disaster that continues to this day. BP’s stock price has tanked; its debt rating has been downgraded; and it has lost tens of billions in equity capital. Similar woes have beset the other oil and gas firms with exposure to the lost platform. For these companies the possibility of default or even bankruptcy has gone from unthinkable to chillingly plausible in a matter of weeks. The cost of default protection has soared; the credit-default swaps are much more valuable. In a word: if you were a net seller of CDS protection on bonds issued by these firms, you are in a world of hurt. Now, keep in mind that chances are you never expected to have to post sizable collateral against these obligations. The default of BP was unthinkable as recently as April. It is still rather unlikely, but far from unthinkable. That unanticipated shift in the risk horizon has put a big hole in your capital base. CDS contracts mark-to-market regularly; the collateral calls can be swift and unforgiving. It was a rapid series of collateral calls, after all, that sunk AIG back in 2008. The upshot of all this, from the Bloomberg report: “An indicator of corporate credit risk in the U.S. rose to the highest since July as the cost to protect BP Plc bonds against default rose to a record.” The risk contagion spreads; corporate credit fears broaden well beyond the one affected sector because of the tight integration of global capital. In the UK, where BP’s steady dividend payments are integral to many pension funds, a similar dynamic afflicts equity markets. The pulverizing paradox is that the attempts of investors to protect, hedge, secure, and otherwise guarantee their holdings actually accomplishes the opposite, systemically. These derivative instruments can, of course, be used to speculate. (A speculator might get wind of another debt rating downgrade, say, and rush to purchase CDS protection, angling to make a quick profit on the subsequent collateral owed him in the downgrade.) But even the normal and legitimate effort of hedging exposure, undertaken by millions of actors around the world, produces this brittle structure of ever-shifting payments, abbreviated securities, and abstractions on property claims of extraordinary subtlety. The structure is not characterized by stability but rather the reverse. I am, to say the very least, not a fan of Noam Chomsky’s writings on politics and foreign policy. But his straightforwardly philosophical work is always interesting and important even when one disagrees with it. A case in point is his view of the traditional mind-body problem, which I examine over at my own blog. Members of Scotland Yard's elite bodyguard unit are being armed with smaller, lighter "baby" guns as part of a drive to attract more female officers. In a firefight, officers using the "Baby Glock" would have to stop shooting and reload their weapon more frequently than those with the bigger gun. Now can we stop pretending that bringing women into every sphere of life is a great idea? Back-reference to Jeff Culbreath's post here and his follow-up on a pregnant policewoman who got killed here. Update: Courtesy of The Masked Rhymster (no relation to the Chicken), herewith a song to be sung to the immortal tune (familiar to all little evangelical children from thirty years ago) of "Only a Boy Named David." With a gun with a trimmed-down stock. Only a few rounds less. But she could wear a dress. And the bad guy didn't fall down. And another and another and another and another and another and another round, too. And the cop named Jenny was through. Before my step-father died earlier this year, at age 73, he told me that he had never once interviewed for a job. He was hired to dig ditches for a west coast utility at age nineteen or twenty - a high school graduate with very little college - and was employed by the same company for almost fifty years. And so it has happened with many jobs. It used to be that men with ordinary intelligence and average skills could make a decent living if they were honest, had a strong work ethic, and had a desire to master their trade. But the blue-collar "masculine" jobs today - mechanics, construction workers, machinists, press operators, etc. - pay very little and are inherently unstable. 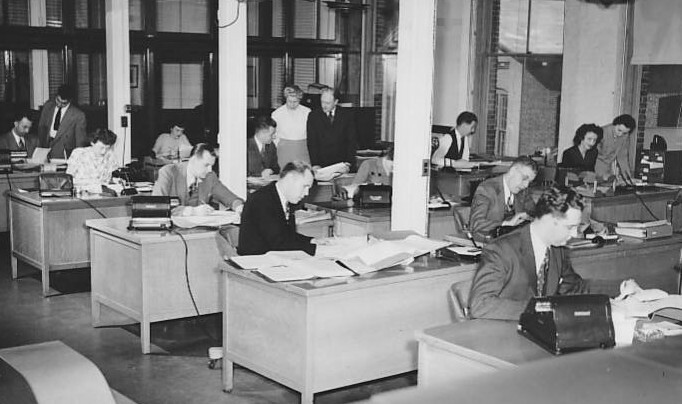 Other jobs once staffed by men - office clerks, writers and journalists, factory workers, purchasing agents, draftsmen, contract administrators, etc. - are increasingly filled by women. Jobs which are today capable of decently supporting a family require high intelligence, extraordinary skills, and what is more often the case, unscrupulous ambition. The Evangelical Philosophical Society blog alerts its readers to the forthcoming Summer 2010 issue of the EPS journal Philosophia Christi. My paper “Teleology: A Shopper’s Guide” is among those which will appear in it. (Scroll through the last several posts at the EPS blog to see some of the rest of the contents.) Here is the abstract: Teleology features prominently in recent discussions in the philosophy of mind, action theory, philosophy of biology, and in the dispute between Intelligent Design theorists and Darwinian naturalists. Unfortunately, discussants often talk past each other and oversimplify the issues, failing to recognize the differences between the several theories of teleology philosophers have historically put forward, and the different natural phenomena that might be claimed to be teleological. This paper identifies five possible theories of teleology, and five distinct levels of nature at which teleology might be said to exist. Special attention is paid to the differences between Aristotelian-Thomistic and ID theoretic approaches to teleology. How Do You Like It, White Boy? "The father of a 16-year-old West Seattle boy who said he was attacked by two men who made racially charged statements wonders why there have been no arrests even though police have identified two possible suspects. "It's been nearly three weeks since 16-year-old Shane McClellan showed up at an emergency room beaten, his father said, almost beyond recognition and almost one week since the teen was called into the police precinct to identify photos of suspects. "'We just can't understand why there haven't been any arrests,' said Shane's father, Tim McClellan. 'It doesn't seem right. I mean, the guys had my son's blood on their hands.'" That is probably not true of Daniel J. Mahoney’s “A Friend of America and Liberty” in the Spring 2010 issue; but it’s one of those reviews that makes me sympathetic to pro-shop wit. (It’s not online — unless you subscribe, which you should.) Prof. Mahoney assays a new collection of Tocqueville’s letters called Tocqueville on America after 1840, situating it in the framework of the great Frenchman’s life and work, and judging it magnificent with few shortcomings; but in the course of this, he delivers a first-rate essay on its own merits. Like many mere dilettantes, I have read Democracy in America but little else from Tocqueville, so Prof. Mahoney’s elegant discussion of his thoughts on America and democracy in the years after the publication of that great work comes to me with the sparkling delight of newer and deeper knowledge. Wesley J. Smith is a lawyer, and I am not. That means that I'm less hesitant than he is about using the word "murder" for various killings of the helpless and vulnerable. (He is careful not to do it if the murder in question was committed under color of legality.) But this time, he's on a roll and has no qualms about the term. A coroner recently found that the drugs the doctor gave in two cases this year were not "clinically justified." A disciplinary panel has suspended his license after a hearing indicating that he had exploited his position and that his actions were "arrogant and single-minded" as well as "extremely serious and widespread." It appears that Martin may well not be prosecuted again for additional crimes, despite his recent admissions. He has been investigated in 30 or 40 deaths, and the disciplinary panel concluded that his injections hastened the death of 18 patients. The drug used (or at least one drug used) appears to have been diamorphine, aka heroin. Here’s the first of a ten-part series of YouTube clips of a debate between Christopher Hitchens and John Haldane, at Oxford, about secularism and faith in the public square. We interrupt our usual political, philosophical, and other programing to bring you a tribute to fathers, and, since I am writing the piece, this will be in part a tribute to my father, Mr. Henry W. of Chicago. Why do little girls like to watch their fathers work with their hands? I don't know the answer, but I shouldn't be at all surprised if it were something close to a human universal. My daughters like to watch my husband work at his book-binding hobby, and when I was a little girl, I thought there were few things more interesting than watching my father try to fix things around the house or work at wood finishing projects. Before he retired, my father was a wood finisher. But despite the fact that he worked very hard at his job, five days a week, he still sometimes found time to do extra projects for other people for a little extra money. He would charge what he called his "Christian rate" to Christian friends. I remember in particular a little drop-leaf table that he refinished for my piano teacher. It seemed to take a long time, and I didn't mind that at all. I don't remember what kind of wood it was, but I loved to watch the whole process. He stripped it and sanded it using gradually finer and finer sandpaper until it was silk-smooth, then he built the finish back up. As I remember it (but it's been many years), it was originally dark, too dark, and it ended up much lighter with the lovely wood grain showing. I don't remember what we talked about. I probably talked most of the time, but that was okay with him. In response to a timely article by Brad Wilcox, I've addressed the topic at my own blog. There are very alarming things going on in Dearborn, MI, right now, and if you don't read Jihad Watch as religiously as I do, you should know about them. First of all, for some background, see this year-old post of mine concerning Christian missionaries being assaulted and driven off of the public streets of an "Arab festival" sharia zone by Muslim "security" personnel at last year's Arab festival. Second, the other piece of background I have is something I've hesitated as to whether to post, so I'm going to try to split the difference and say just this much: I have fairly strong reason to believe that there was a window of opportunity last year during which it was up to the Christians (or at least this was what they believed) whether to press charges on the assaults you see in that video from last year. They apparently chose not to do so. That's all I'll say, though in giving no further details I realize I'm asking you to take my word for it. I'm saying this because things have now gotten so much worse, and it might appear that it was entirely a matter of police choice last year to do nothing about the Muslims' behavior. This year, the police appear to be solidly on the Muslims' side and to be enforcing sharia in a blatantly unconstitutional manner. But it's only fair to say that the Muslim impunity last year may have been partly a result of a decision made on the Christian side. And this is relevant to the point of this post, which is just this, to these incredibly courageous Christian people, including former Muslims, for whom I have such great admiration: Don't only make videos about how bad sharia is in the U.S. Do something concrete about it in law. Use the rule of law to the max. Don't just illustrate the spread of sharia and get yourselves nearly beaten up and then arrested in the process. Fight it by every possible legal means at every step of the way. The Muslims will rejoice if you merely show their power and say, "Something is terribly wrong in America." Moreover, according to eyewitness testimony found here, they were observed by police, who also saw that they were surrounded by Muslims and did nothing wrong. The police then (according to the same eyewitness) went away for a few minutes, after which they returned and arrested all the Christians, including those who were merely taking video. They were led away in handcuffs to joyous shouts from the crowd of "Allahu akbar!" As of the last post I saw that addressed the issue, they still seemed unsure of exactly what had even been alleged against them, and the police refused to look at the video on the spot to confirm their innocence (of whatever it was) during those few minutes the police were away. They appear to have some reason to believe that (this is a joke, right?) one of the Muslims alleged that they "surrounded" him and "wouldn't let him go," completely contrary to what the police themselves had witnessed. Most disturbing of all, their cameras were confiscated and were not given back to them when they were released on bail. As far as I can tell, they still do not have their footage, which would of course be relevant in proving their innocence of whatever allegation has been made. Robert Spencer states that there was a hearing today, but I haven't been able to hear what happened, despite repeated inquiries in the comboxes at Answering Muslims. A detailed account (video discussion) from the arrested missionaries after they were released on bail can be found here. I discuss the latest chapters of the struggle over at my own blog. Much of what I say holds, mutatis mutandis, for any form of faith-based education. Over at my own blog, some reflections on a common and pernicious misconception of how dualists understand the soul, inspired by Daniel Stoljar’s recent book Physicalism. In two parts, here and here. I'm not calling this an "update," because there is no new news about actual happenings. The police haven't returned the cameras yet. But a couple of pieces of information: First, Acts 17 blog confirms my claim below that they did indeed choose not to press charges last year. The further detail is that this was in exchange for an agreement from the Dearborn police that the particular three Arab festival security men against whom those charges might have been pressed wouldn't be on security duty anymore at the festival. There are a lot of problems with this. For one thing, how could the police actually guarantee that when the security personnel were not themselves a police entity but rather were evidently hired by the festival? And indeed, the promise turned out to be hollow, as one of those men was back this year. Second and more strikingly, the missionaries must have known (from the fact that they were driven out by an entire crowd last year) that the problem is not just with three particular individuals, so why should such an assurance be relevant at all? I don't want to be too harsh on them, but this explanation just does make it all the clearer that the decision not to press charges last year was a real mistake. Second, two of this year's Dearborn Four are from New York City, and they both say that seeing the mess the Dearborn police department is in makes them appreciate New York City cops all the more. One retired New York policeman has suggested that the feds should investigate corruption, misconduct, etc., in the Dearborn department. Would that we had a different administration and could have some confidence that the present Justice Department would do justice to such an investigation. But formally, he's doubtless on to something. There are more services offered, too. See Wesley J. Smith's post here. Sorry to be such a basket of smiles, but this one had to be passed on. Oh, Dr. Weisberg, who is setting all this up, is a psychiatrist. Can anything be done about this legally? I rather doubt it. But it would be nice if there were some way that people could, say, refuse to do business with this guy. Update: A setback for this aspiring entrepreneur. He's had his medical license suspended for prescribing drugs to drug addicts. Maybe they paid by cashier's check, and he just couldn't resist. Let's hope that puts paid to the suicide clinic plans for the time being, anyway. Thus does the Christendom College website introduce its music program to prospective students. The quote intimidates, attracting the right sort and repelling the wrong sort right out of the gate. I’m writing from Pittsburgh, Pennsylvania, at the conclusion of a glorious week at the CMAA’s Sacred Music Colloquium held at Duquesne University. I’m not musical myself, but am here with my musical son, age fifteen, for whom the sacred music of the Christian West has become a fiery passion. If you have children interested in sacred music, don’t miss the opportunity to get them to the Colloquium. The academic instruction is first rate and the cost is shockingly affordable. There are classes and workshops for all levels of competence. Attendees are immersed in the liturgical life of the Church – Lauds, Compline, and Holy Mass are sung daily, in both English and Latin, giving one a taste of the discipline of religious life. Some exposure to the Latin language and the ability to read music is recommended prior to attending. There has been a recent flap in my area connecting the issues of embryonic stem-cell research and, surprisingly enough, home schooling. I became aware of what was going on a bit after the fact and am only now getting a chance to blog about it. Here's the short version: The local newspaper, the Kalamazoo Gazette, asked three local high schoolers, including one home schooled young man, Justin Wing, to write opinion pieces on the topic of funding for ESCR. Justin and one of the two public schooled students were both against ESCR funding, though the public schooled student implied that it might be a good idea in a better economy. A local pastor, the Rev. Dennis Smith, then wrote a letter to the editor insinuating that Justin opposes ESCR only because he has been kept ignorant of relevant facts by some unspecified "religious curriculum" which, Smith presumes, he has been taught from. This, despite the fact that not a single one of Justin's arguments was religious in nature. Smith then insisted that home schooling must be more tightly regulated to prevent the emergence of young people who are thus indoctrinated by "religion" into opposing ESCR. There were strong and indignant responses from both state and national home schooling groups. What neither of the responses stressed, however, was the most glaring and ironic point of all: Justin Wing argued from facts. The Rev. Smith, on the other hand, is himself a victim of misinformation--namely, unjustified promissory hype about ESCR. And hard on the heels of my post below on totalitarian leftists who want the government to establish our facts for us comes the news that Elena Kagan, when she was in the Clinton administration, wrote language for the supposedly independent, scientific ACOG to include in its statement on Partial-Birth Abortion. Their previous language wasn't politically useful enough for her in the abortion wars. ACOG adopted her suggested language, and their statement was then cited as that of lofty, independent, unquestionable scientific determiners of fact by courts in (at that time) striking down a partial-birth abortion ban. The federal government should create a Department of Information whose responsibility it is to determine the facts behind any decision that confronts our country. I know what you're thinking: This sounds like something that belongs in a totalitarian regime. But the reality is that someone has to decide on what is factual and what is not. So who can we trust to give us the most accurate information available? Big Business? Traditional media? The blogosphere? I certainly wouldn't trust any of them. Though our government is far from perfect, it does exist, at least in theory, to serve the best interests of the American people. That's more than can be said for any other influences in our society; everyone else has a self-serving agenda. Yep, that's right. Everyone else has a self-serving agenda. Just let Elena determine your facts.